Sun Juchang and his wife, Jiang Shuhong, together have spent a cumulative 1,382 days in captivity for fighting for personal freedoms. Sun Juchang has endured a lot at the hands of the Chinese Communist Party (CCP). He’s been illegally detained. He’s been beaten nearly to the point of paralysis. He lives under constant surveillance. And the CCP government has stolen his land. On July 27, 2018, village officials forcibly occupied his private plot of land and used it to build houses. All of this suffering because he had the audacity to defend his fundamental human rights. Sun Juchang is from Huang’anzi village, under the administration of Tianheng town, Jimo district in Qingdao city, in eastern Shandong Province. 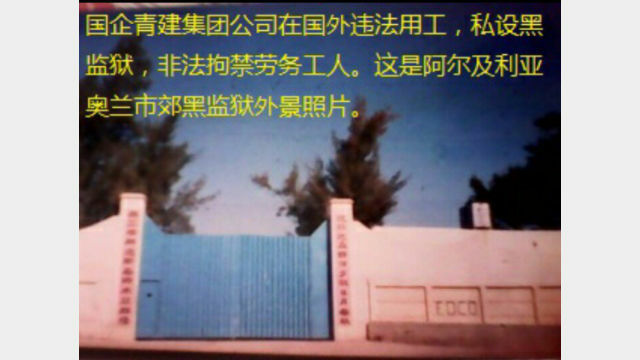 The nightmare began in April 2002, when Sun Juchang was recruited by the state-owned, Qingjian Group, a Qingdao-based construction company, to do construction in Algeria. He was lured in with a deposit of 13,000 RMB (about $1,900). But as soon Sun Juchang got off the plane, the company’s general manager, Liu Jianxiang, and deputy general managers, Liu Anhua and Liu Fuhua, took his passport. According to Sun Juchang, Qingjian Group engages in illegal employment practices, exploiting workers and maliciously refusing to sign labor contracts with them. The laborers in Algeria were forced to work overtime, which included evenings after a full 12-hour workday. They had no days off, celebrated no holidays, and their wages were meager. Accidents caused by illegal operation or construction fatigue frequently resulted in injuries, sometimes death. Workers (or their families) were compensated for neither. Recognizing the injustice of all of this, Sun Juchang demanded that China’s Ministry of Commerce go public against Qingjian Group, exploiting how the company refused to sign labor contracts with overseas laborers and how it refused to offer any personal accident insurance in case of workplace accidents. But China’s Ministry of Commerce refused, and the Qingjian Group began its brutal revenge against Sun Juchang. “On December 11, 2003, at the construction site office, Liu Jianxiang and others ordered underworld thugs to use iron rods with an 18-millimeter diameter to viciously beat me, fracturing my skull and causing injuries to several parts of my body, including my neck and lumbar vertebrae. I was in a coma for eight hours, and only survived after receiving emergency treatment at a hospital,” Sun Juchang wrote about his dangerous experience. 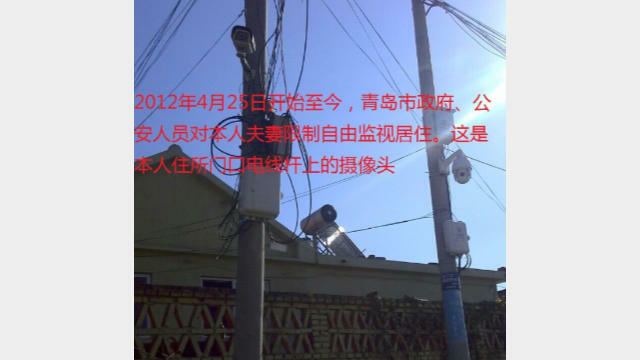 While still suffering from these injuries, Sun Juchang was illegally detained in this pop-up prison for nearly 70 days. During this period, he was frequently insulted, humiliated, and physically assaulted by Liu Fuhua and others. On February 18, 2004, Sun Juchang was released, and he returned to China. After returning to China, Sun Juchang underwent surgery and treatment at Qingdao Haici Hospital and was later assessed by the relevant departments as having a disability. Since then, he has embarked on a long and challenging path to defend his rights. In order to begin this process, Juchang gathered extensive evidence and filed a complaint with the relevant departments of the Qingdao municipal government, as well as the Shandong provincial government. But no one paid any attention. Well, except the Qingdao municipal government’s Petitions Bureau, which threatened to hire thugs to beat him up again in retaliation. And yet, Sun Juchang still went to petition in Beijing. This only further infuriated officials from Qingdao’s Petitions Bureau, Public Security Bureau, and other governmental departments, which then colluded with the Qingjian Group to carry out a ruthless retaliation campaign against Sun Juchang. Starting on May 29, 2006, Sun Juchang made multiple trips to Beijing for petition, but each time, he was kidnapped by personnel sent by the authorities, sending him back to Qingdao and detaining Sun in a legal education center – an extralegal detention center set up primarily for dissidents and petitioners who seek justice – in the Louzituan village under the administration of Tongji sub-district, Jimo district. 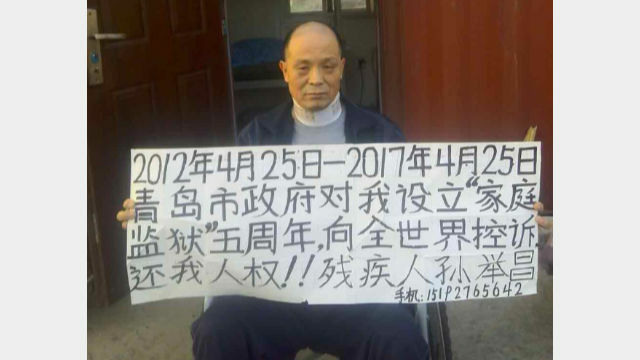 In December of that year, after authorities fabricated charges against him, Sun Juchang was sent from the legal education center to a “re-education through labor” camp where he was illegally detained for more than a year and a half. While here, he was frequently beaten by prisoners, at the behest of the guards. These assaults resulted in the already-disabled Sun Juchang to become paralyzed. Despite this, the labor camp refused his request to seek outside medical attention. On June 6, 2008, upon the completion of his “re-education through labor” term, Sun Juchang, who was almost dying, was carried out from the labor camp. 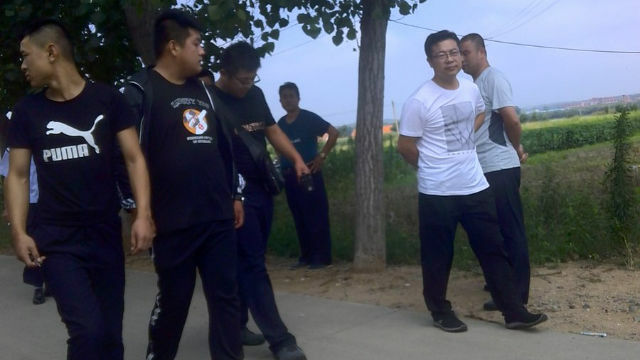 On July 1, he and his wife, Jiang Shuhong, were detained in another legal education center and were not released for five months. None of this stopped Sun Juchang from trying to defend his, and his wife’s, rights and interests. 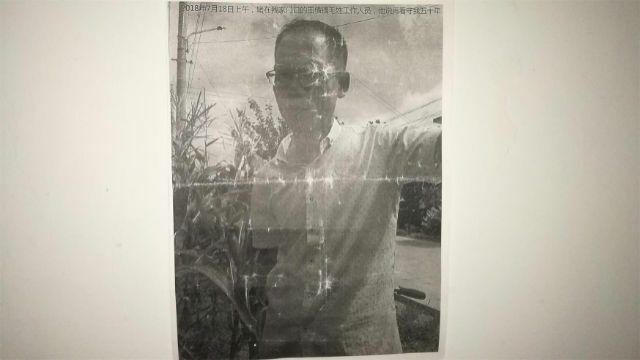 But the typical song and dance played out: Every time he tried to get to Beijing to petition, he and his wife were picked up by authorities and sent directly back to the legal education center in Jimo city. In 2009, the two of them spent a cumulative six months each in these prisons. And, once again, Sun Juchang was subjected to brutal torture and cruel treatment. “I, someone who cannot take care of myself, was locked up alone in a small dark room, filled with medical waste, at the end of the corridor on the second floor of Daxin Village Central Hospital, isolated from the rest of the world,” Sun Juchang said of those dark days when he was confined from August to November of 2009. Surveillance cameras with no blind spots were installed in and outside their residence. The police also sent personnel to move into the couple’s home and restrict their freedom. To date, they remain under residential surveillance. This was not just scaremongering. 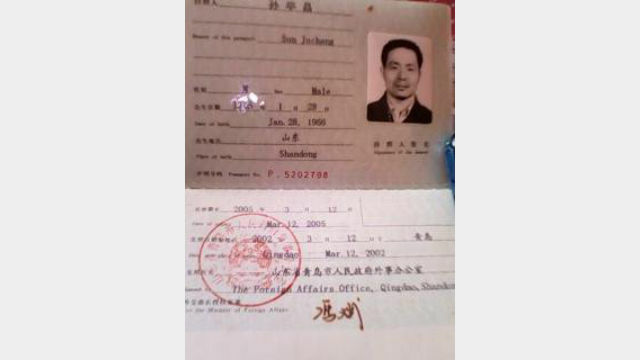 It is understood that on June 8, 2017, Sun Juchang was planning to go to the Public Security Bureau to apply for a personal passport to seek medical treatment abroad, but on his way, he was intercepted by police officers and government personnel from Tianheng town. “The country’s legal system is dead. ‘Law-based governance of the country’ is a deceitful lie,” Sun Juchang said.